At present, the investment community is divided as to whether the world economy faces hyperinflation or deflation. Some observers are convinced that the central banks’ printing press will take the world towards hyperinflation whereas others believe that the ongoing contraction in American private-sector debt will result in outright deflation. So, what will the future bring? It is my contention that we will get neither hyperinflation nor deflation. What is more likely is that over the coming months, we will get another deflationary scare. Any sell-off in the markets later this year will be met by an even larger stimulus from the policymakers and this will ultimately result in high inflation. So, I maintain my view that due to the unprecedented policy responses around the globe, the world’s economy will face high inflation over the medium to long-term. And the general price level will double over the coming decade. In the near-term however, we will probably get another period when the market will (once again) become concerned about the prospects of a lengthy economic contraction. It is conceivable that the ‘green shoots’ hype currently doing the rounds will soon be replaced by more economic worries as a second wave of foreclosures hits America later this year. So, it is possible that before year-end, we will witness large corrections in stocks and commodities. Conversely, we are likely to see big rallies in US government bonds, US Dollar and Japanese Yen. This near-term vulnerability in the markets is the reason why I have recently liquidated our ‘long’ positions in resources and emerging markets and gained a heavy exposure to long dated US Treasuries. In my view, a defensive investment stance is prudent at this juncture as it will protect our capital and allow us to profit from the expected contraction. Once the pullback in the markets is complete, I will liquidate our positions in US Treasuries and re-invest our capital in our preferred holdings in energy, materials, mining and emerging Asia. Look. In the business of investing, the tape never lies and it is worth remembering that Wall Street is littered with the graves of those who got married to one particular outcome and then held on to their ill-conceived notions. At this point, when private-sector debt contraction in America is locking horns with central bank inflation, I prefer to have an open mind. Therefore, I am maintaining a defensive near-term investment position. If the market corrects over the following weeks, I will be in a position to profit from such a decline. On the other hand, if the major indices simply consolidate here and break above the recovery highs recorded last month, then I will have no hesitation in changing my defensive investment position. Put simply, I am currently watching and waiting patiently for the market to reveal its hand. Coming back to the subject of this essay; the reason why I don’t foresee immediate hyperinflation is due to the fact that the velocity of money is currently weak. In other words, at least for the moment, the private-sector in America isn’t participating in Mr. Bernanke’s inflation agenda. Despite the fact that Mr. Bernanke has injected a massive amount of reserves in the banking sector, this money is currently sitting as excess reserves within the American banking system. The fact that this money isn’t being lent out rules out immediate hyperinflation. However, once the American economy stabilises and the velocity of money picks up, these excess reserves will trigger a massive inflationary wave. As far as deflation is concerned, I am of the view that the policy responses and our fiat-money system will ensure that the purchasing power of cash will continue to diminish over the medium to long-term. In fact, I am willing to bet that cash will probably be the worst performing ‘asset’ over the coming decade. Remember, in today’s monetary system, central banks and governments the world over are free to create money out of thin air and this will prevent outright deflation in the global economy. It is worth noting that in the past six months alone, China’s commercial bank credit has expanded by a whopping US$1 trillion! 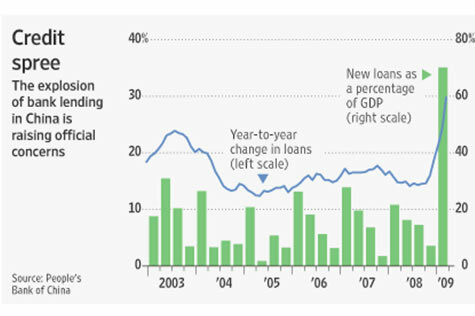 Figure 1 highlights the surge in Chinese bank lending. Furthermore, credit is also expanding frantically in other Asian nations. So, contrary to the West, monetary policy is still alive and well in the developing nations and this factor also rules out outright deflation in the global economy. In my opinion, rather than hyperinflation or outright deflation, we will witness elevated inflation after the American economy has stabilised. In the interim however, investors should be prepared for another deflationary scare and the associated market panic.